22/7 is a digital idol group produced in collaboration with record producer Yasushi Akimoto (AKB48, Onyanko Club), Aniplex and Sony Music Records. The members of the group provide the voice and motion capture for their respective characters. 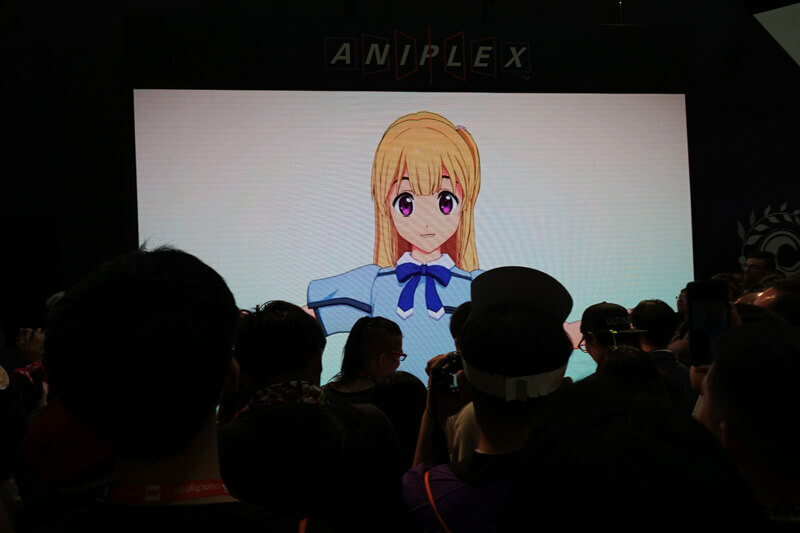 One of the members, Sakura Fujima, a self-described YouTuber who’s the best at English, made an appearance at the Aniplex of America booth at this year’s Anime Expo in LA. 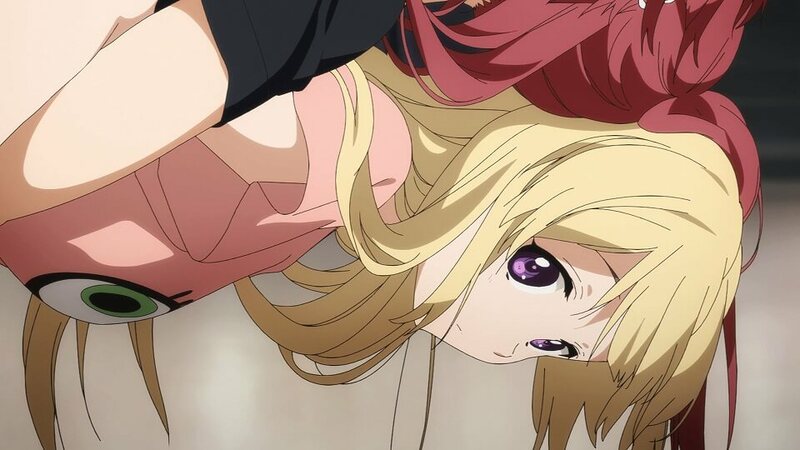 Voiced by Sally Amaki, she set up her official YouTube channel in June this year. In just 4 days her channel had amounted well over 10,000 subscribers. She’s grabbing more attention each day and even ranked number one in the Virtual Youtuber Ranking (June 13, 2018 – June 19, 2018) on Kamunabi by Kamuitracker which is similar to Social Blade. 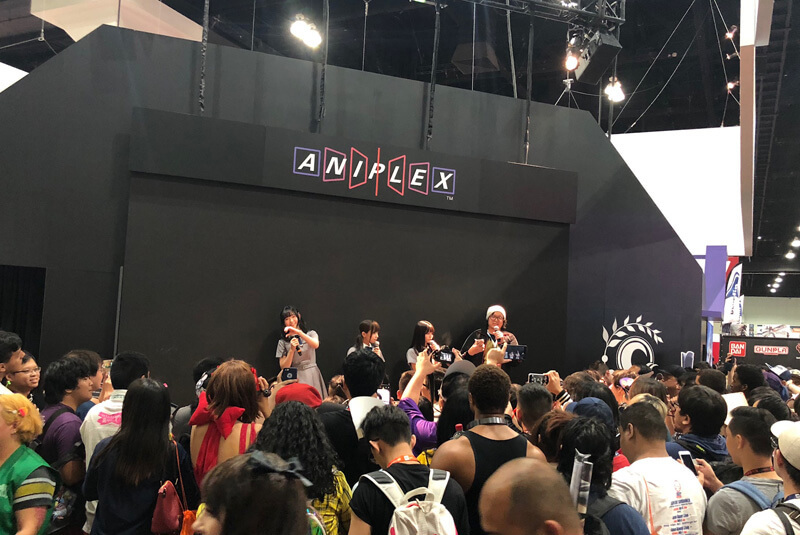 Sakura greeted everyone with a “Hey guys!” at the Aniplex of America booth to which all her fans gathered their responded to with a huge round of applause. This was followed by three of the members of 22/7 stepping onto stage: Sally Amaki (Sakura Fujima), Mei Hanakawa (Nicole Saito) and Reina Miyase (Ayaka Tachikawa). 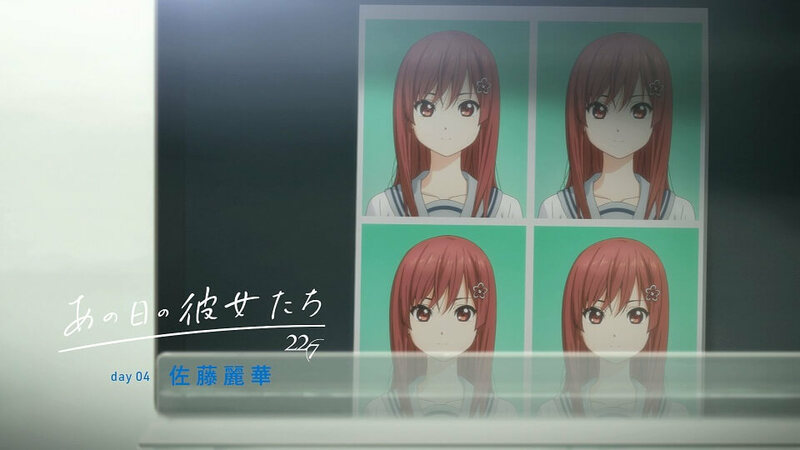 During their talk they revealed the next entry to the character introduction of their already-announced anime series. This was the world’s first look at the 4th video in the series which looked at virtual member Reika Sato. The introduction series is titled The Diary of Our Days. Up to now there have been three videos that have looked at three of the virtual characters: Miu Takigawa (Nagomi Saijo), Miyako Kono (Mizuha Kuraoka) and Ayaka Tachikawa (Reina Miyase) respectively. The fourth video, which covers Reika Sato (Chiharu Hokaze), sees her expressing her worries to Sakura after looking at pictures of herself, saying: “It’s just like they said. I feel like I’m not smiling,” to which Sakura comforts her by saying, “When I become a grandma, I wonder if I’ll make a face like this?” This invited a chuckle amongst the fans at the booth. If you head on over to the official 22/7 homepage there are some cute free superdeformed wallpapers and Twitter icons of the characters drawn by animator and illustrator Yukiko Horiguchi (Lucky Star, K-On!, Tamako Market). 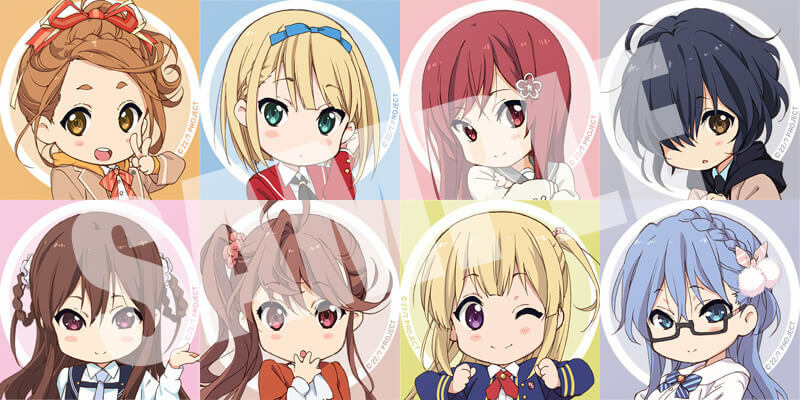 These were designed to celebrate the initial airing of 22/7’s first TV show 22/7 Keisanchuu which broadcast on TOKYO MX. Check out the information below and be sure to follow 22/7 on their road to fame.